The primary focus of this release was on implementing a new calendar layout for the BeProduct Tasks folder. Additional enhancements include a new Dimensions app and usability improvements. 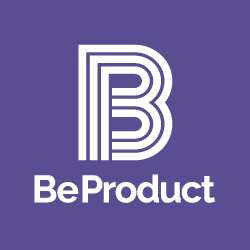 Tasks Calendar Layout: The Tasks folder in BeProduct has been updated with a new Calendar Layout allowing users to view and manage tasks similar to how they would manage Outlook or Google calendars. Dimensions App: Users can utilize this app to free type information by product size on a spreadsheet style grid. Clicking on the Print Preview button on a page would now save any changes made to that page before generating the selected print preview. The field height for Multi-Select dropdowns has been doubled to give more space for displaying selected values and also to allow for vertical scrolling if needed. The print preview for Grid apps has been updated to enable the auto scaling of row heights to fit the wrapping of text as needed. The maximum upload file size has been increased to 1GB. Fixed bug with Sample Size dropdown in measurement app that prevented users from changing sample size. Fixed an alignment issue with the material and colorway grids in BOM apps. Fixed bug with Spreadsheet app print previews. Fixed bug where modified timestamp was not updating when a new Illustrator Artboard image version was uploaded. Fixed bug that caused main images with edits using the built-in editor to not display the correct version of the image.